Duhok, Iraq – Salem Khalaf, a 63-year-old tractor driver, vividly recalls the day in August 2014 when ISIL fighters attacked the Sinjar region. Upon hearing that the group was drawing near and that security forces had fled, Khalaf and other Yazidi men sent their families away, while they remained in place, taking upsmall arms to defend their homes. But they were no match for the fighters with ISIL (the Islamic State of Iraq and the Levant, also known as ISIS). After just a few days, Khalaf and his remaining neighbours fled to the mountains, taking the route that thousands of other Yazidis had followed. They faced starvation and dehydration along the way. Khalaf has a proud and strong voice, but when he starts talking about his wife and five children – who were 10, 11, 16, 18 and 23 when he last saw them in August 2014 – he looks at the ground and can barely find words. All were kidnapped by ISIL as they attempted to flee on the family’s tractor. A few months ago, Khalaf went back to his home in the village of Hardan, north of Sinjar, to find it completely destroyed. Everything valuable had been taken, except for the gifts he bought for his two boys and three girls. When he saw their personal belongings lying on the floor, Khalaf collapsed. “At first, I wanted to bring some of their belongings with me, but I couldn’t bear the thought of seeing these things every day. It hurts too much,” he said. According to his sister-in-law, Ida, Khalaf’s wife and children were last seen in Tal Afar nearly two years ago. Ida was also kidnapped by ISIL, but released months later along with 200 other Yazidis, mostly elderly women and children. Since then, no trace of Khalaf’s family has been found. “I know that ISIL is selling them now as slaves. That is what they do with Yazidi women and girls,” he said with a broken voice. More than 6,400 Yazidis were kidnapped by ISIL when the group attacked Sinjar in August 2014, according to the Kurdistan Regional Government (KRG). Most of the men were killed and dumped in mass graves, while the women and children were abducted, repeatedly raped or forced to fight for the group. Since then, more than 3,000 Yazidis have managed to escape, the KRG says. When the battle for Mosul started late last year, many Yazidi families hoped that their family members soon would be rescued. “We asked the Iraqi army to cut off the road to Syria in an early stage. Unfortunately, that did not happen. Therefore, ISIL had plenty of time to transfer a lot of kidnapped Yazidis to other places, and because of this, we couldn’t rescue as many of them as we were hoping for. Thousands of them are still missing,” Hussein al-Qaidi, director of the KRG’s Office of Kidnapped Affairs in Duhok, told Al Jazeera. 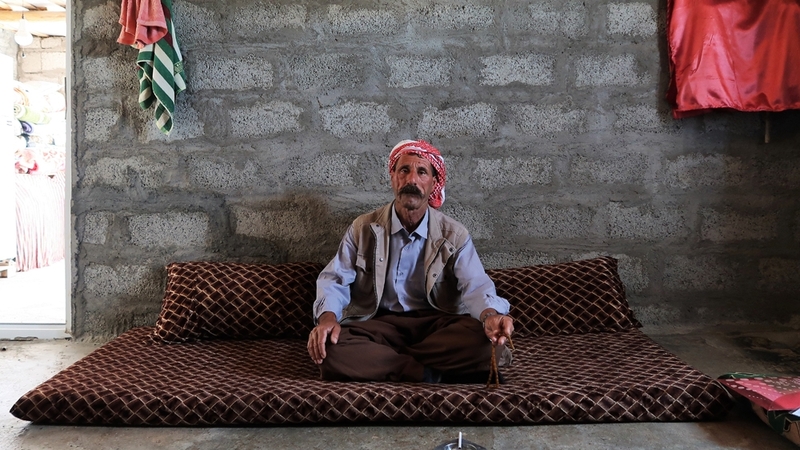 The Yazidi men left behind say they feel betrayed not only by the military forces, who withdrew in the face of advancing ISIL troops, but also by some of their Arab neighbours, who advised them to surrender. Many Yazidi families took that advice, they said, only to find out later that these neighbours were cooperating with ISIL. Questions of “what if” continue to haunt many of the men. Instead, Abdallah’s family was handed over to ISIL. He later found out that his wife and children were brought to Syria and sold to an ISIL fighter from Tunisia, who later carried out a suicide attack. “Other ISIL members came to my family, gave them $500 and told my son that his father went to heaven,” he added. 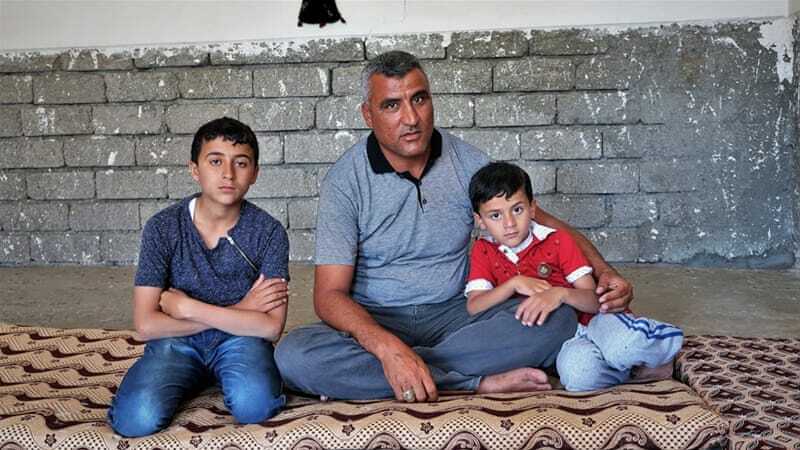 Abdallah was recently reunited with his sons Shalal, 14, and six-year-old Hachem, after more than two years. 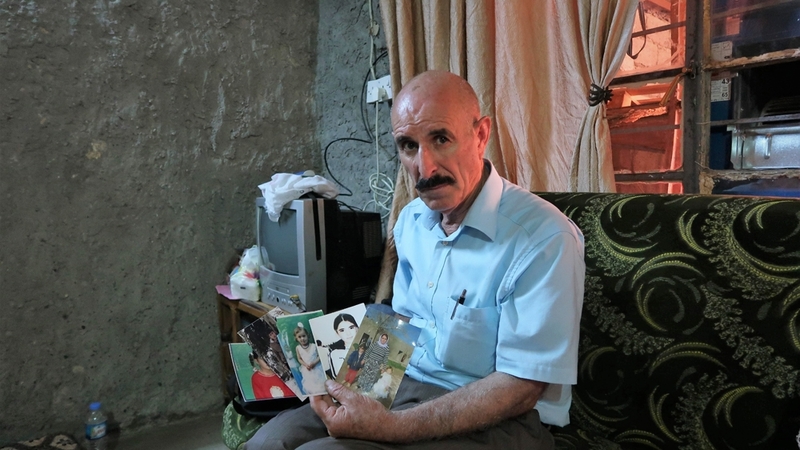 His wife and teenage daughter are still being held in ISIL territory. In another camp in the Kurdish region of Iraq, 66-year-old Khudeda Msto Haji lives alone. Once a respected man in the town of Khanasor with a family and his own casino and catering business, he now lives alone in a tent, struggling to scrape by each day. Sometimes, he even talks to his children, pretending that they are sitting next to him in the room. As he shows pictures of his wife and children, tears roll down his cheeks. “What did she do to deserve this? Why did they do this to us Yazidis? ISIL destroyed us,” he asked. Haji recently started working as a cook again to provide support for his eldest son, who is studying medicine at university and was not at home when ISIL attacked the area. Every wedding Haji attends makes him feel even more depressed. “I try to smile and pretend to be OK, but the truth is that it hurts me a lot to see people happy. Happy people remind me of the past. I cannot even imagine that I once was a happy man with a family,” he said, noting that he would do anything to rescue his wife and children from ISIL’s grip.